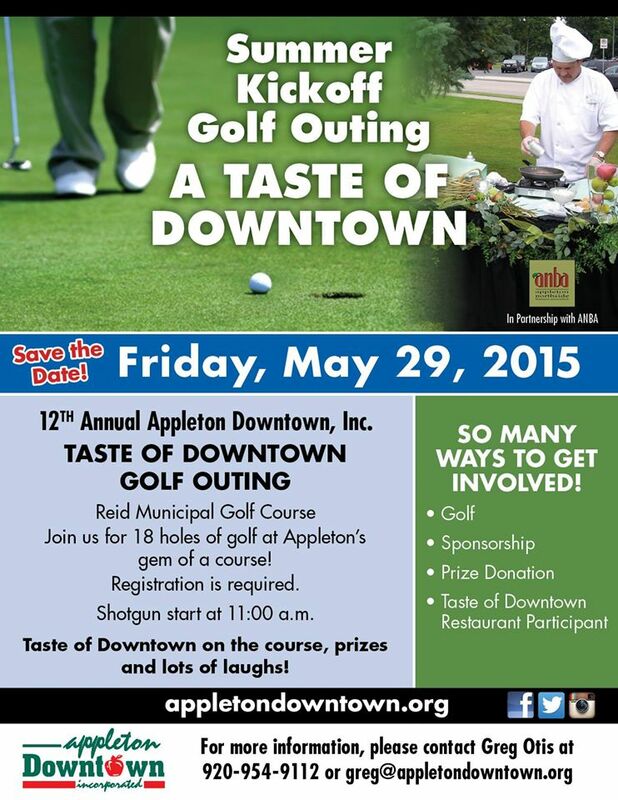 Posted on Apr 23, 2015 by Appleton Downtown Inc.
Come join in the fun on the links while networking with your Downtown & ANBA* neighbors at the 12th annual Downtown Appleton Golf Outing Friday, May 29, 2015 at Reid Municipal Golf Course. Because we play a scramble, it's a great day for golfers of all skill levels--so don't be shy! And don't forget there will be "tastes" on the course courtesy of Downtown & Northside Appleton Restaurants! Registration begins at 10 am with a shotgun start at 11 am. $99 includes 18 holes of golf* with a cart, Taste of Downtown lunch on the course, great prizes and a silent auction! Register by calling the ADI office at 954-9112.